Manchester United manager Jose Mourinho has confirmed that Romelu Lukaku will rejoin his teammates in first-team training on Tuesday in a bid to step up his fitness following an ankle injury. The Belgian was substituted during the second half of United’s 2-1 win over Arsenal last month and he has since in with specialists in his homeland who have worked on his recovery. Following United’s 1-0 win over Watford, Mourinho confirmed that the striker would mark his return to training although he has yet to decide on his potential involvement in the FA Cup final. “I know that Romelu [Lukaku] will be back for Tuesday because he’s in the last week [of rehabilitation] and we have to see but Anthony I have no more,” he said. With the Cup final against Chelsea only a few days away, Lukaku faces a race against time to prove his fitness but Mourinho has previously suggested that he would at least want the Belgian on the bench. Lukaku has notched 29 goals for Manchester United over the course of the campaign and his presence would certainly uplift the mood in the team with his impressive work-rate upfront. 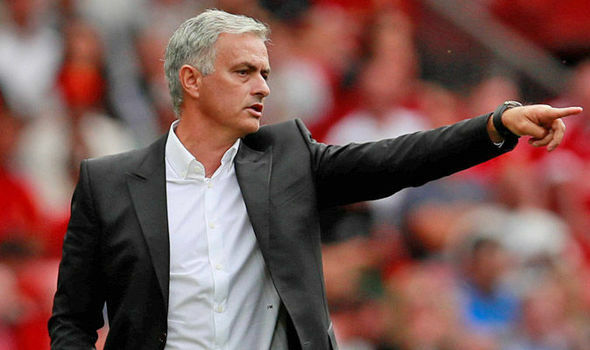 Mourinho recently tried out a three-man central defence during the goalless draw against West Ham United and he could opt for a similar setup at Wembley, should Lukaku remain unfit to start. hmm, hope lukaku is back, our last few games has been shadows of ourselves. his presence only is a treat to our opponent. I pray God for his quick recovery. for Eden harzard, is shameful to the sense of u been chose before any Coaches who comes to Chelsea, your ghost is always honting them.now Conti is going, your board is deciding whether to sack him or choose u. your own is coming sooner or later. remember Herrera is coming to police u like never before.